Dell has begun to take pre-orders on its Visor headset for Windows Mixed Reality applications. The company will start shipments of the device in mid-October, just in time for Microsoft’s Windows 10 Creators Update that arrives on October 17 and ahead of the holiday season. Starting from September 14, Dell’s Visor WMR headset is available for pre-order from Dell.com/Visor in the U.S. and from PCWorld in the U.K. The headset itself is priced at $349.99, the controller kit costs $99.99 and a Visor with controllers is priced at $449.99. In the U.K., the whole kit is available for pre-order at £429.99. In order to play non-controller based AR/VR games on the Visor, users will also have to get an Xbox One controller. Dell will start to ship its Visor product on October 17, 2017. In addition, the company plans to make the device available in BestBuy stores and directly from Microsoft (online and offline). 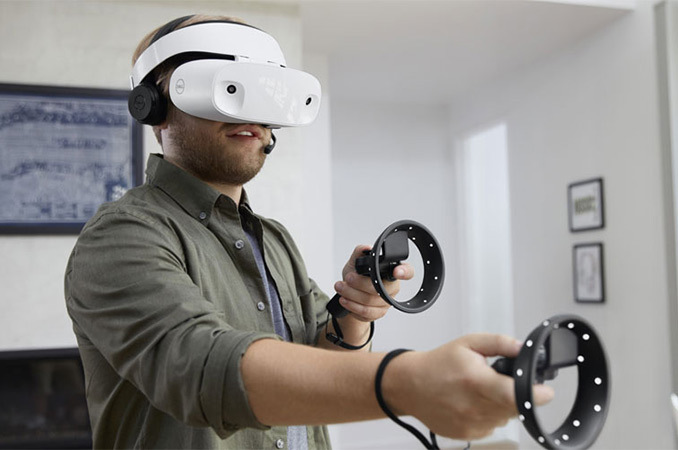 Dell’s Visor AR/VR headset complies with Microsoft’s requirements for headsets compatible with the Windows Mixed Reality platform: it connects to Windows 10-based PCs using HDMI and USB cables, it features two 1440×1440@90 Hz LCD panels (for a total resolution of 2880×1440) and two cameras to capture the outside world. While ergonomics and industrial designs of WMR-compliant headsets from Dell, Acer, ASUS and Lenovo are different, internally they end up being very similar. 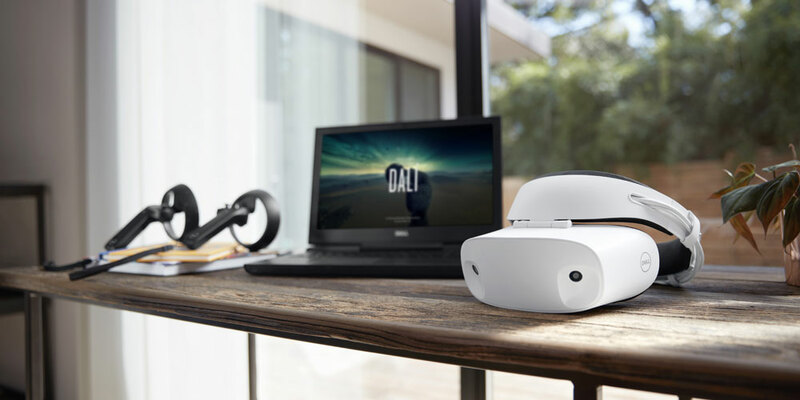 The shipments date of the Dell Visor coincides with the launch date of Microsoft’s Windows 10 Creators Update, which will bring support for Windows Mixed Reality headsets to end users. That said it is highly likely that other makers of WMR gear will try to ship their products around the time of the official launch of the platform. In the meantime, Dell seems to be the first with pre-orders. I was still in high school in 1995, so I have no clue, but just guessing I'd say it was in the range of "if you have to ask you can't afford it". That was the point of his setup in the movie; he was making a killing off of the worm he infected tanker ships with, along with his legitimate paycheck for IT security. The VR setup was his version of a supercar or yacht. Actually it was. I got bored and did a little research, and it appears to be made by a company called Virtuality Group. And at $65,000, I was right: It's "if you have to ask you can't afford it" kind of money, especially in the 90s. You couldn't buy a comparable setup in the 90s even with Government Money.